Hong Kong. 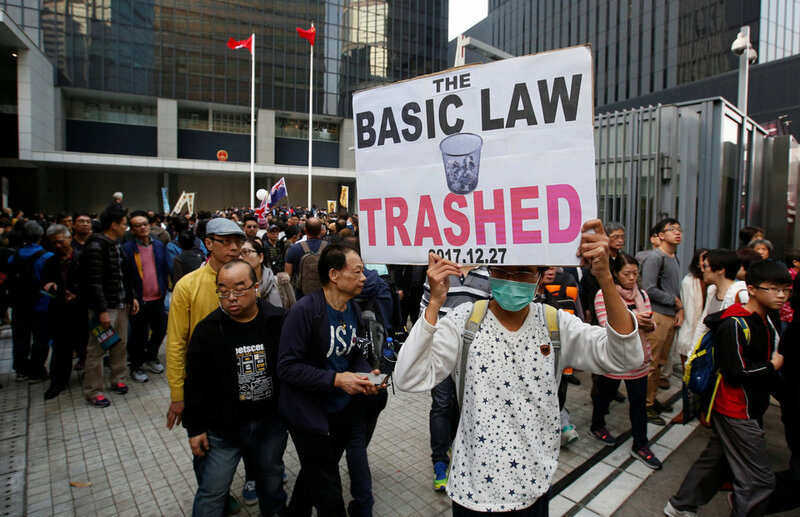 After a year that saw democracy advocates in Hong Kong jailed and ousted from public office, thousands marched through the streets of Hong Kong on New Year's Day to warn China not to meddle further in the city's affairs and undermine its autonomy. "Everyone's doing what they can," said Andy Lau, who was among the marchers. "If we have the right to demonstrate then we should. But I'm not feeling positive. I think things will get worse." China's leader, Xi Jinping, has said that while Hong Kong enjoys a high degree of autonomy under the "one country, two systems," Beijing still holds supreme authority over the city and will not tolerate any challenge to its authority.